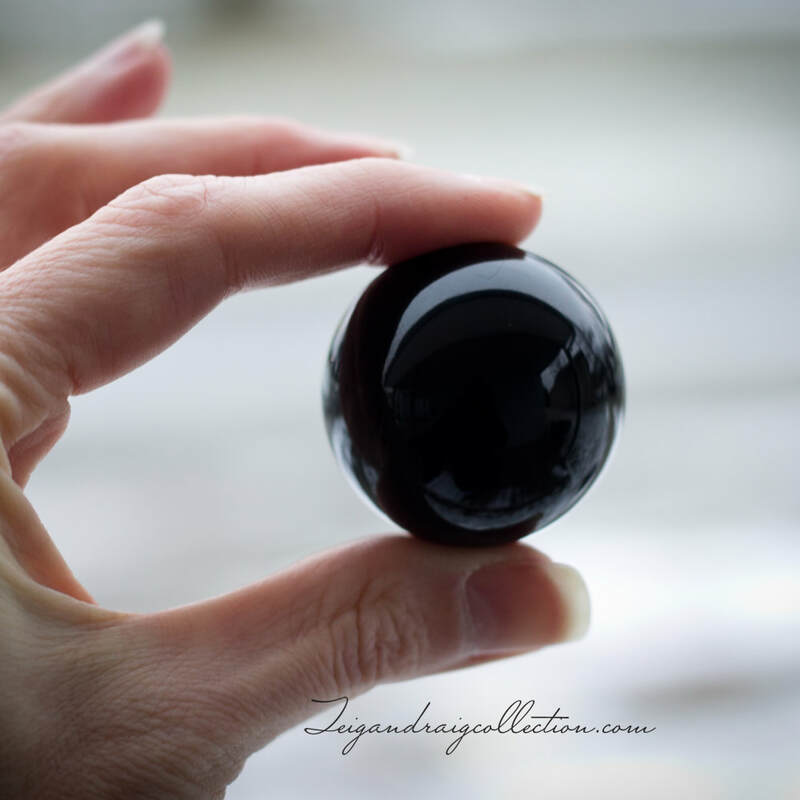 Black obsidian is a powerfully protective stone, shielding against negativity. It blocks psychic attack and negative energies in the environment. 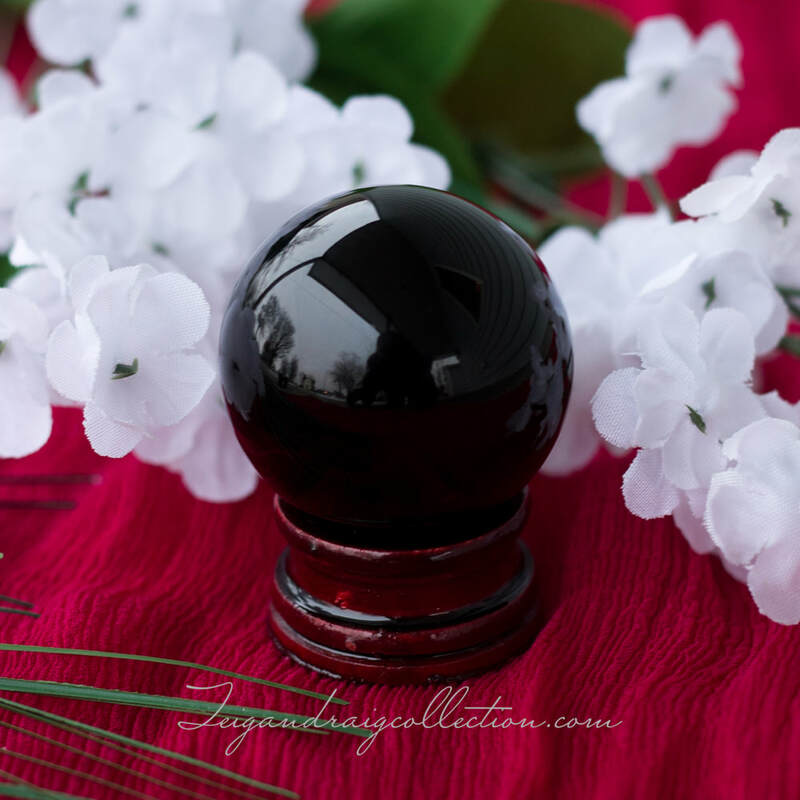 Black obsidian promotes strength and facilitates emotional healing. Obsidian is used to cut cords and ties involving negative attachment. Obsidian is a form of volcanic glass that is found in many colors. Black, snowflake, green, golden sheen, and rainbow are some of the most popular varieties. Apache Tears is also a form of Obsidian. 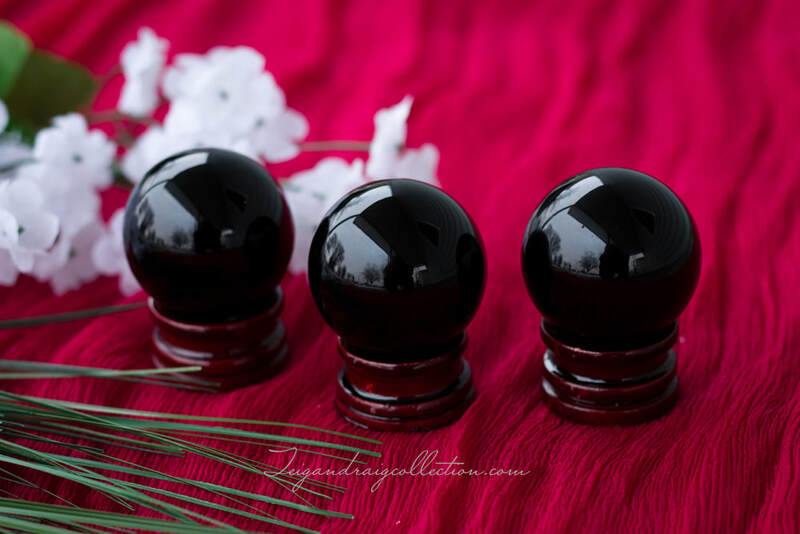 These Obsidian spheres measure 40mm (approx. 1.5 inches in diameter) and weigh 2.7grams. Wooden stand for displaying your sphere is included. One available.